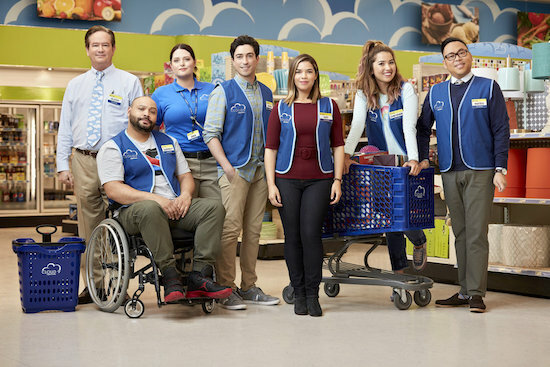 There’s a chill coming to SUPERSTORE—and it’s not just the blizzard that’s trapping the Cloud 9 employees in the store on the Thursday, March 21 episode. 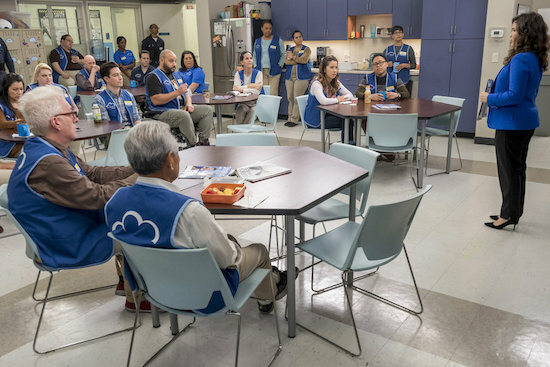 After nearly three months off the air, SUPERSTORE is finally back on Thursday, March 7. 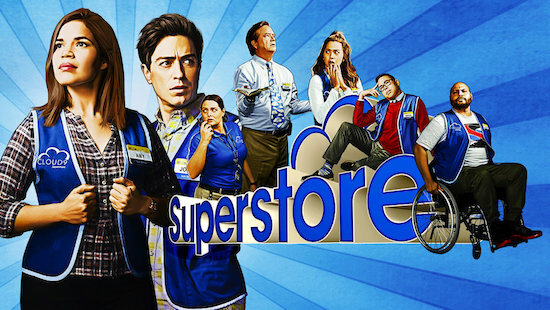 When the comedy returns with “Cloud 9 Academy,” the employees are all handling big shifts: Dina (Lauren Ash) and Garrett (Colton Dunn) find themselves manning an impromptu daycare center as Glenn (Mark McKinney) attempts to baby-proof his office; Amy (America Ferrera) and Cheyenne (Nichole Bloom) go off-site for a leadership workshop at Cloud 9 Academy; and Jonah (Ben Feldman) accidentally inspires Mateo (Nico Santos) to take a drastic political step. 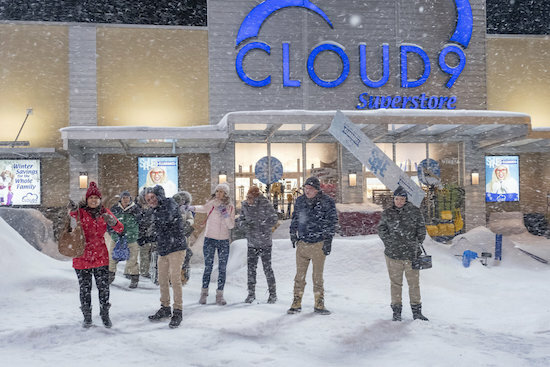 Though the Cloud 9 employees might feel like they spend all of their time at work, but SUPERSTORE is taking it a step further when the show returns: a blizzard traps the team inside the store. The episode includes celebrity contestants Carla Hall, Adam Rodriguez, Shiri Appleby, Colton Dunn, Diane Guerrero, and Jason Ritter as they compete to help their civilian win a $25,000 grand prize.